Actually, it was a hard project. 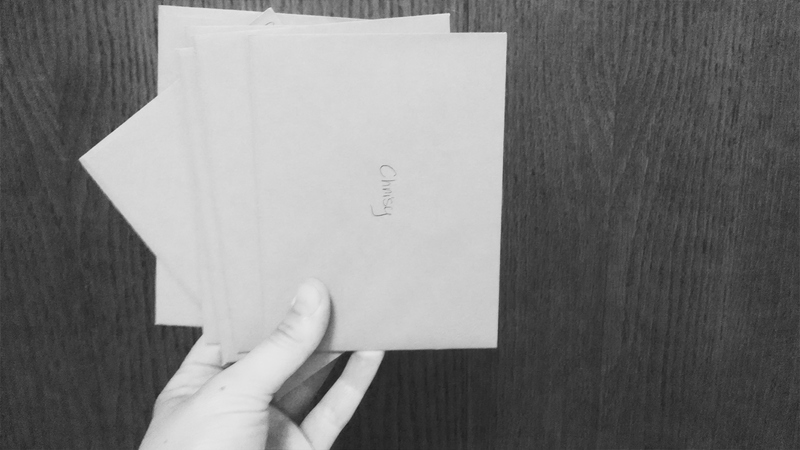 Last summer, after the 5k that I and some college buddies hosted, I wrote each of them a thank you card for all they did. B’lieve me – they did lots. I had left over cards. Nice ones. That, and I’d heard of Hannah Brencher‘s project More Love Letters. 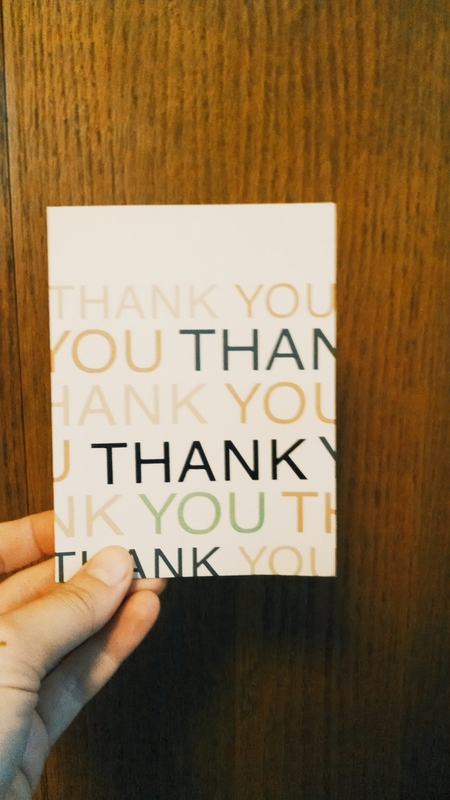 That, and some other blogger I think wrote about doing thank you notes as a project. 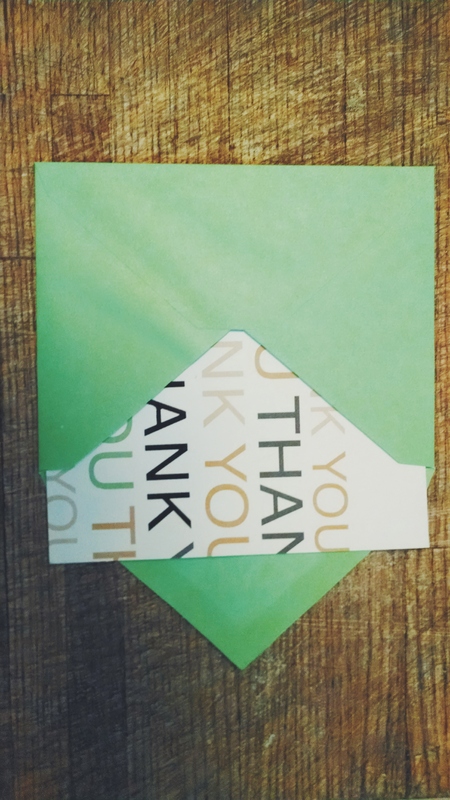 All together, it seemed like a good way to use up those nice looking thank you notes. Mom. My boss. My little sister-by-love and my older one. My friend. Another friend. Another lady. Just people who I love. Just a chance to tell them so. Thanks, everyone. Thanks for the little things, and the big things. Thanks for the things you taught me, the times we were silly, and for loving me. Thanks for goofing off and playing with my hair and moving to California. Thanks for introducing me to Dr. Who and giving me haircuts and helping me plan a 5k. Thanks for reminding me to delegate, and thanks for being my silly encouragement on hard days, and thanks for interrupting my school to show me Lego projects, and for being nonchalant about skydiving and staying up late because you wanted to talk to me. Thanks for being weird. Awesome. Annoying. Sweet. All those things. So to you readers and commenters and people who I love – thanks. Thanks for the big things, but also for the 32 million little things. You didn’t know I kept track, did you? This entry was posted in gratefulness, sisters, the dailies by Gianna. Bookmark the permalink.